Real Mongolian Tibetan Sheepskin Lamb Fur Plate Throw Rug Blanket Throw Grey Tibet 20"x35"
We are determined in delivering premium and luxurious animal skins and furs to home interiors as we carefully source our Mongolian furs to deliver supreme accents for luxury living. This particular piece is hand crafted from four individual Tibetan Mongolian lambskins in a contemporary striking black colour that will compliment many styles and pallets. 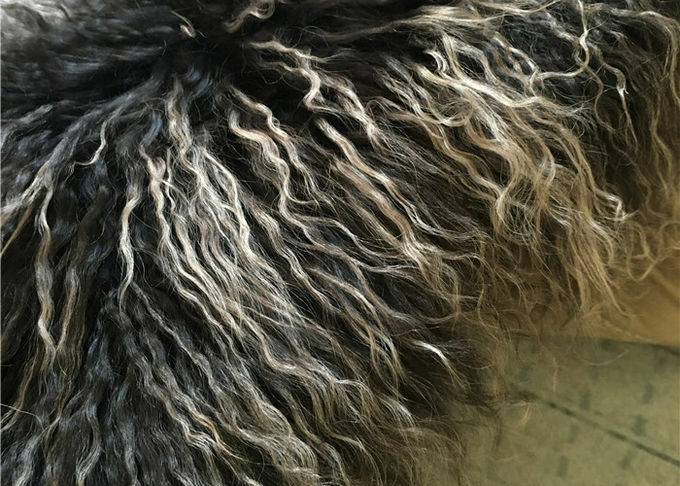 Mongolian Fur is known for its stunning lustrous coat of elegantly shaggy long crimped and curly hair that is super soft with silk like feel. This stylish piece can be used as a bed throw or runner to add luxurious comfort to a bedroom or add as a throw over a sofa for additional textures and warmth with its natural curved edges creating casual elegance. The plate is unlined with the natural under skin and stitching exposed allowing this piece to be suitable for both interior styling and upholstery of furniture such as chairs, ottomans and benches. This soft and invitin rug adds a simple and charming pleasure to any room. We are specialises in premium Tibetan Mongolian sheepskins carefully sourced to deliver luxurious fur accents for interior styling. Take this amazingly beautiful Mongolian fur hide to decorate and style furniture pieces by draping the hide over a bed, ottoman or chair to create an on trend interior style with its contemporary and lustrous grey woollen fur coat. 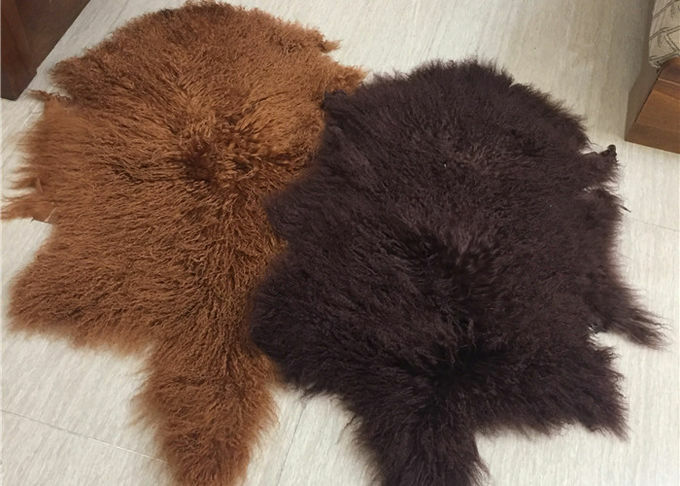 Mongolian sheepskin is known for its crimped and elegant shaggy long coat that is so super soft and divine to touch with its fur like qualities and features that delivers opulent and luxuriuos textures with stylish comfort and warmth to an interior space. 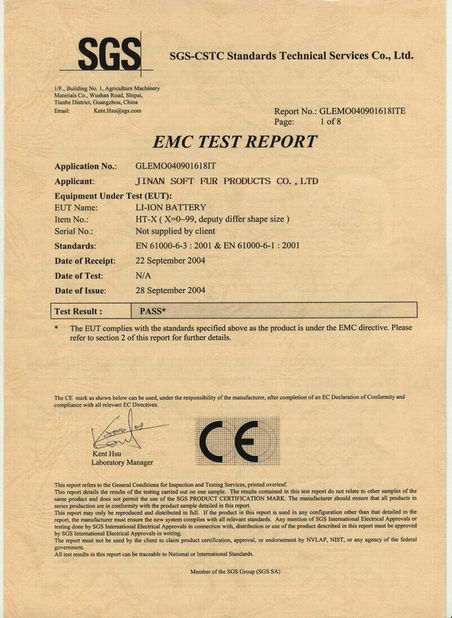 Our sheepskins are ethically sourcred and a part of the food industry aswell processed through strict tannery guidelines with no harsh chemicals used. Luxury for the home. 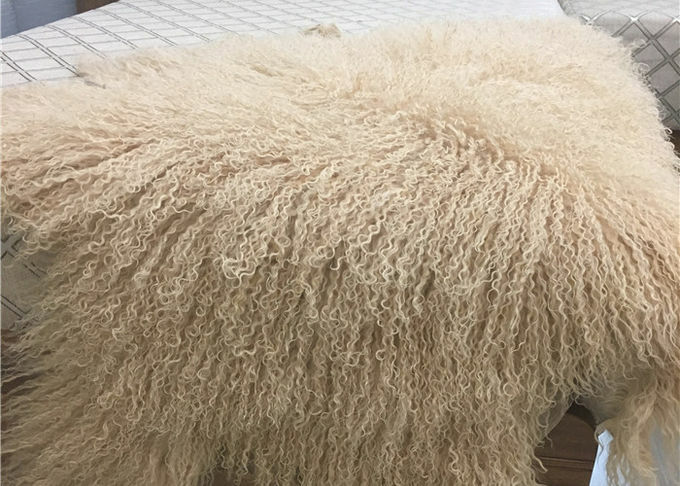 Decorate any room in your home, office or cabin with a spectacular real Tibetan lamb fur . These exceptional rugs will accentuate and liven up any room. Fur is soft to touch and warm, you will love how it feels. 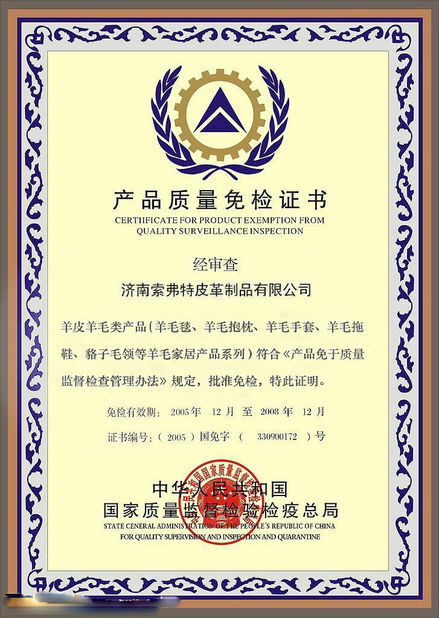 Delivery For order of small quantity, 7 days for natural color; 10 days for dyed colors. 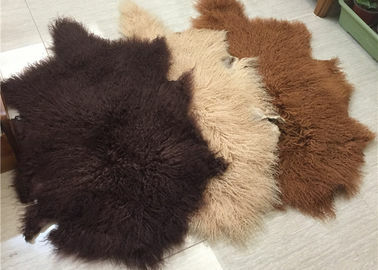 *Shedding is a natural characteristic of animal furs Mongolian sheepskin is a natural product therefore it needs to be celebrated that no two hides will be alike, variation in markings, size, shape, colour and texture are all natural characteristics.